Sometimes, when there are no cars coming the other way, I veer out of the way of speed bumps in the parking lot. Other times (when my wife isn’t in the car), I just go over them at normal speed (15 miles per hour, of course). I’ve rarely stopped to look at the speed bumps themselves. I took the picture below of a speed bump’s leading edge (the part that takes the first hit of vehicles’ tires). This one has taken its share of abuse. 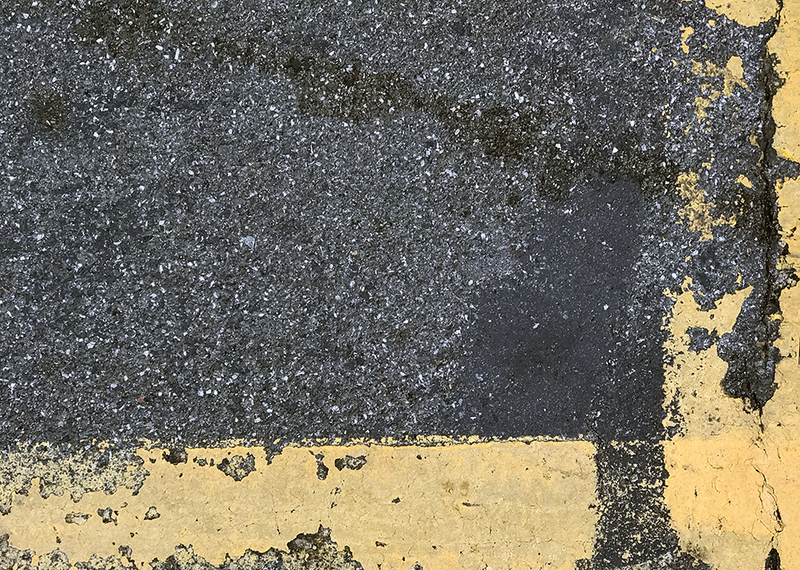 This entry was posted in Personal Stories and tagged abstract art, artistic process, creativity, found art, imagination, parking lot, photography, speed bump, street photography, visual imagination. Bookmark the permalink.